This startling reality is one that’s equally true in both the public and private sectors. Recognizing that you are ultimately the only anchor holding yourself down will help you scale the summit in any industry, including government. 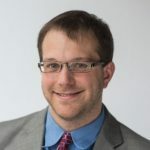 Kirk Borkowski says that his tenure as Director of Operations and Special Partnerships at Drexel University Online has repeatedly shown him how personal anxieties can undermine professional goals. Drexel University is a Philadelphia-based school focused on preparing young men and women from all walks of life for successful careers in an emerging economy. Borkowski added that once a government employee decides to overcome their hesitation and invest in themselves, they typically need a mix of hard and soft skills to develop professionally. Hard skills are technical skills related to specific situations and tasks. Soft skills, meanwhile, are those that typically focus on communication, interpersonal relationships and personal character. Government employees reach their full potential, Borkowski continued, by cultivating traditionally valuable traits like adaptability, creativity and negotiating. More recently, Borkowski noted, agencies are looking for potential workers with cybersecurity and compliance knowledge. “Each of these skills is necessary for one to refine as they embark on the government career ladder,” he said. So how do government employees looking to develop professionally take their first steps up the mountain of success? According to Lisa J. Alonzo, the answer is obtaining as much wisdom as possible. For example, Alonzo said, government employees should not let their finances block their professional development dreams. Alonzo said that one’s current workplace is often overflowing with potential opportunities for personal and professional growth. Another tool, Alonzo continued, is becoming a frequent sight at networking events. According to Alonzo, these moments are valuable for forging connections and shopping your business cards and resume. Most importantly, Alonzo added, is that government employees remember their desires may not become reality overnight.